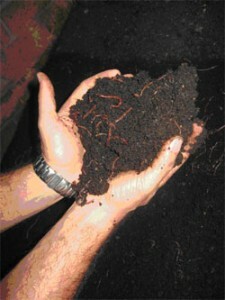 Effects of Vermicompost produced from cattle manure, food waste on the growth and yield of peppers in the field. The increase growth and yields of peppers in the field confirm our greenhouse experiment on the positive effects of Vermicomposting and traditional compost on the plant growth and yield. Increased growth and yield of peppers in the field were attributable to a number of positive effects of applications of Vermicompost in field soils.